Got this email this morning. Sharing.....with permission. Thanks, Andrew! I did want to share with you the other night I was possiby going too fast, and well a local trooper pointed it out to me. Seems he was touched by the sticker on the back of my truck. He wanted to know about what this "Justice for Kari" was all about...I was happy to share and just get a warning. He knew about "the preacher" and could hardly contain his irritation with the saga. He was definitely pro-Kari. "The former Central Texas Baptist minister will spend the next few weeks to few months at the Byrd Unit, a diagnostic intake facility where he will go through the prison-classification process, Texas Department of Criminal Justice spokesman Jason Clark said. More later. This happened quick. "Friday Baker filed two motions. One, is for a mistrial due to alleged judicial misconduct. Baker claims judicial misconduct occurred during his trial when one of the witnesses on the stand was saying Baker had an alibi -- that he was at Hollywood video when Kari died. During the witness' testimony, Judge Ralph Strother called for a break because a juror had to use the bathroom. Baker's motion says the judge interrupted the detective's testimony, and when the the break was over the judge did not have the court reporter read where the court left off. However Baker's court-appointed lawyer says Baker missed the 30-day filing deadline, after he was sentenced. The lawyer, Stan Schwieger says both his motions are irrelevant, and he says Judge Strother isn't taking any action." I'm guessing that Matt sent letters on his own for these two ridiculous "irrelevant" motions or he forced Stan's hand somehow to file them for him. Matt really things he can represent himself but he doesn't even know what relevance is and what is actually a meritorious motion. Where's the "This is a good idea" in any of that? Gosh, I feel for Stan. He's probably getting to the Number 1 spot of people involved in this that are ready for this whole thing to be over with. This week is National Crime Victims' Rights Week. The Advocacy Center, WPD Victim Services and the Family Abuse Center will be sponsoring a city-wide rally to remember the victims of crime and to show thier continued fight for the rights of crime victims. Tonight I am meeting Linda for this. I'd like to make everyone aware of this event and invite you to come. Linda will be one of the speakers. Crestview Park just so happens to be the park across the street from what used to be Waco Christian School. This is the park where Kari undoubtedly had PE and "played" when she was a student there. I know because I grew up at Waco Christian School and this park. What a perfect place for tonight's event. Hope to see you there! “We have traveled much tougher roads these four years than the road to Kerrville,” Dulin said. “We love our granddaughters with all that we are. "After Matt Baker’s request last week to replace his court-appointed appellate attorney was rejected, the former Baptist minister and convicted murderer sent the lawyer a letter saying he wants to serve as his own legal counsel. I think I find myself rather speechless. But the last line I quoted from the article kinda says it all. Shouldn't one kinda, sorta know basic law before they represent themselves? He doesn't even know he can't represent himself in the appellate phase, but he thinks he's the best authority on the matter? Is this more advice from his "brilliant" consultant? Got to love me some Judge George Allen! The hearing went by so quickly I barely had time to write down a few notes and it was a done deal. The reason Judge Allen heard this hearing today is because Judge Strother can't rule on his own recusal motion. Strother wasn't even in the courtroom at all. I'm sure he was glad to get a break from listening to Matt's shenanigans! From what I understand, today's hearing was the only hearing that Judge Strother wouldn't preside over. It wasn't clearly stated but I believe that he will be back for any other (God, how many more can there be???) Baker hearings and motions held in district court. The second motion for Stan (at Matt's request and I'm sure Stan would be more than slap happy to be done with this) to withdraw as counsel during the appeals process. Matt wrote a 2 page, tiny handwriting, whining and accusing letter to Stan and a copy of it also sent to Judge Strother. Wow. He's got some nerve. "I have little choice but to believe that somehow you and Judge Strother, knowingly or unknowingly through coercion, conspired from the start and violated my civil rights to have an honest, fair and impartial hearing and to be represented by an attorney." "It appears to be clear that neither you nor Judge Strother intended that you have to represent my best interest especially in the hearing for a new trial." So on the record, Matt is charging that his attorney and Judge Strother committed some serious criminal behaviors here. Once again, everyone is evil, breaking laws and out to get him and conspiring and lying. And he is ever-truthful, innocent, and "yet again, violated." I didn't have time to write down his exact words but Judge Allen told Matt something like: Stan is one of the finest appellate attorneys available and you should be extremely grateful to have him. Quit fighting against your attorney and cooperate with him. Stop listening to Fisher. Stop listening to your mother. Listen to your attorney! Why does Matthew 7:6 flood to my mind? Baker also asked that Strother, who presided over Baker’s murder trial in January, recuse himself from the case. There's a hearing set for this Friday at 8:30am. I will also see if Matt's 2-page letter is filed yet. Four years. Four years, two girls without their Mother. Four years, parents without their daughter. Four years, a brother missing his sister. Four years, aunts and uncles missing their dear niece. Four years, cousins without her. Four years, friends missing one of their dearest. Four years, co-workers missing one of their own. And on and on and on....Kari touched so many lives in so many ways. 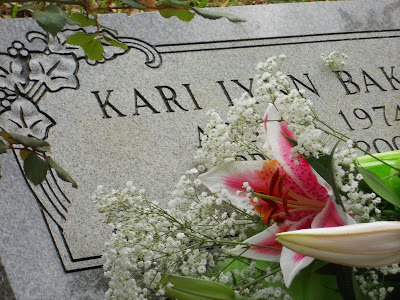 It's been four years since the tragedy of Kari's murder. Almost four years of praying and working for her justice and peace for so many. At least on this anniversary of Kari's death, we have partial peace. Justice has been served. 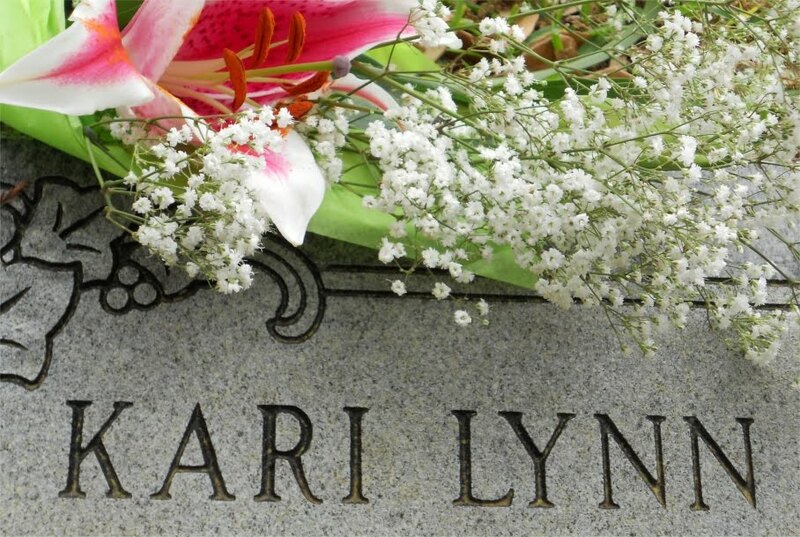 Kari's loving memory and honor publicly restored. Without question. Prayers are now directed towards Kari's precious daughters. That you will be free to remember and love your Mother. and know that it is only by loving that you can heal. your Mom died.....you will be able to accept the truth.....and heal. again, it is only through love that we can heal. fully of joy and life, just like your mother. That you will know now and always just how special you are and how incredibly loved you are. God bless you all on this day of memory. the Dulins here or using the "Comment" link below. I'll be sure they see it. Thank you! I want to share a couple of emails (with permission) that I received yesterday from a teacher at Midway High School. 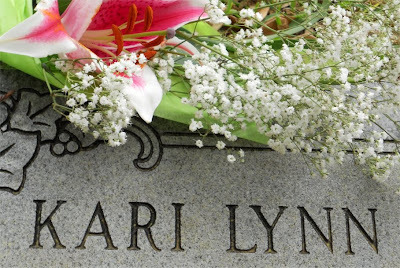 She has a very unique perspective and her email also shows how Kari's death has sent ripples out farther than we even knew. 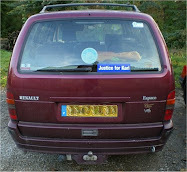 I just felt the need to write to you about your work on this blog for Kari. I am new to the Waco area so knew nothing of the murder until the trial started. I teach at Midway High School and wanted to tell you about some of my students. One had a little brother in Kari's class at the time of the murder (who is probably friends with your son), one of my kids knew the girls, the mother of one of my girls worked with Kari............and so it goes. Since I am new to the community, I could really feel the pain and the wounds inflicted. Matt took Kari away from all of these people and inflicted untold damage. I know you know this......just wanted to tell you that the ripples are in my workplace, affecting my students and co-workers. Thank you for the blog..........."
I just want to share a few thoughts with you concerning my experience with this murder. Like I said, I have only lived in Waco for less than two years, so the first thing I knew about it was when I caught it on "48 Hours" and saw one of my co-workers, Todd Monsey, being interviewed. Then when the trial started, I saw footage of his testimony on the news. It hit me that it was a complete travesty that ANYONE should have to testify in a murder trial like this, and it just upset me that someone I knew had to do that. One of my students who knows Todd very well said that she knew Kari didn't commit suicide because "If Coach Monsey is one of your friends you would never want to die. He is just too fun." I do have a unique perspective I guess because I can see how deep the wounds are in the community and how Kari's loss has hit kids in ways that people might not see. I too pray that the girls are removed from that environment very soon. A co-worker and I were hoping that they would get to start the new school year in August at Midway schools. I know they would be welcomed with open arms and nurtured by teachers and kids. I admire your blog and what you have done. I also admire Linda quite a bit. Thanks for providing a forum for information and to demand justice for an innocent mother and her children. It is truly inspiring." Before yesterday's hearing, this story was released via KXXV Channel 25. Matt's mother, Barbara Baker, is not happy with the results of the trial and wants to blame that on one of Matt's attorneys, Guy James Gray. She filed a complaint with the State Bar. Yet it's interesting that this "gross ineffectiveness" on Gray's part wasn't enough to even factor into Matt's failed motion for a new trial. Not much to say here but I do want to point out one thing. In this article Barbara Baker says ".....she had a gut feeling her son was having an affair with Bulls, whose testimony put her son behind bars." A gut feeling? What about the January 24, 2010 interview she had with Erin Quinn of the Waco Tribune where she flat out told Erin that Matt had told her about the affair with Bulls IN THE SUMMER AFTER HIS WIFE'S DEATH? She didn't just recently come around to this gut feeling. She has known about this for 3.5 years. She and Matt lied about this to everyone for 3.5 years. And this is the MOTIVE for Matt's murdering Kari. It's NOT an insignificant detail.....or a little "ooooopsie" that they BOTH just forgot to mention. 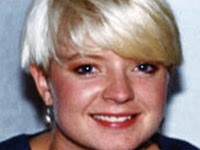 As a dear Justice for Kari prayer warrior pointed out in an email to me today, not only did they BOTH lie about this motive for murder to Matt's attorneys all throughout the years, to authorities, to Kari's family, to friends and church family.....they certainly omitted that little factoid over the years as they were aggressively soliciting and accepting funds from their unknowing and loving fellow Kerrville folks. I think it's just shocking. And very, very sad. Borderline "aid and abet," if you ask me. The Judge, Matt's court-appointed attorney, Susan Shafer and Crawford Long were in Judge's chambers for 30-45 minutes or so. By the time they came out, all the above points were abandoned and they only argued one point as the whole basis for their motion to request new trial and appeal. Here it is: The fact that the alternate juror was allowed to go into the jury room and LISTEN (NOT PARTICIPATE IN ANY WAY) to the jury deliberations and that Matt's attorneys didn't object to it. Yes, ladies and gentlemen, that is it. That's their complaint of epic OMG attorney ineffectiveness. Reason for a convicted murderer to walk out of the courtroom. It is perfectly understandable and reasonable for an alternate juror to be present (and not participate) in jury deliberations. One juror was already lost before the trial started due to illness. Then we had a 2-week trial. There is no law or statute or rule of procedure that says the alternate should not be present. What would be better anyway? Have another juror get sick and have to start the trial all over and or the 7-hour deliberations all over again so the alternate can hear things? Both the DA's and both of Matt's attorneys say they thought it was reasonable and didn't have a problem with it. Gray even said he'd of liked to have had that particular alternate juror ON the jury. Then Matt's attorney argued that we have no way of knowing if the silent presence (and non-participation) of the alternate juror in the deliberation room made the 12 actual jurors convict Matt. Well, the State was 2 steps ahead. Ready to testify were 2 of the jurors, including the foreperson. Alternate juror did not speak. Did not make facial expressions. Did nothing but sit there like a potted plant. And they also reminded us that she was only in there with them less than an hour-and-a-half of their seven-and-a-half hours of deliberation. The alternate juror can't see well at night and asked to be allowed to leave early (around 5:00) so she could get home safely. Obviously and expectedly, Judge Strother DENIED the Motion for New Trial and appeal. Attorneys for the Dulins are Darren Obenoskey and Susan Johnston. For Barbara Baker, Kerrville attorney Fred Henneke. There is also a guardian at litem attorney for the girls. I couldn't quite understand her name. I will find out. This is basically what happened in my layman's understanding. The original suit filed by the Dulins for rights to see their grandchildren was filed in 2006. In 2006, McLennan County was the proper venue for that suit because all parties lived in McLennan County. There was never a final order rendered in that suit because the outcome and circumstances of that suit were pending civil litigation against Matt and also pending the outcome of the criminal trial and conviction. Therefore, it is still basically "open" in court in McLennan County. Barbara Baker wants the custody venue changed to Kerrville for obvious reasons. Her attorney is claiming that McLennan County is an improper venue for this case. But it was the proper venue at the inception of the suit....and that suit is this suit even though it's been amended from just asking for visitation to asking now for full-custody. The problem is that there is no clear precedent for a trial just like this. The Judge has much at his discretion on this. But being the careful and prudent Judge he is, he wants both sides to spend more time researching cases and prepare briefs for him on this subject matter. One thing I found very interesting and also very telling about Judge Strother's insight on these matters is that he asked both parties to research whether there is any connection between Baker being convicted of murder and venue change on the custody part. Does he get to take advantage of family law statute when he caused this whole thing to happen when he murdered their Mother? Judge also pointed out that the girls (and the family) lived IN McLennan County to begin with. The only reason they are there (Kerrville) is because of the murder of their Mother. I can only imagine his frustration with all this. Anyway, while both sides are gathering more case law and reasons for their cases, the Judge has ordered them to attempt mediation. I think they agreed to it being held somewhere between Kerrville and Waco. Also the guardian ad litem attorney asked for a deposit for her fees. She initially suggested, $2,500 from the Dulins and $1,500 from the Bakers. Judge said, $1,000 from each side for now. Matt will stay here at the county jail until the matter of venue is decided. I suppose we'll have another hearing after 30 days. Erin Quinn, with the Waco Tribune, did a great job with her live blogging of today's events. Check that out here: Judge rejects Matt Baker's appeal for new trial; custody dispute in mediation Matt exhibited some rather odd behavior towards her.